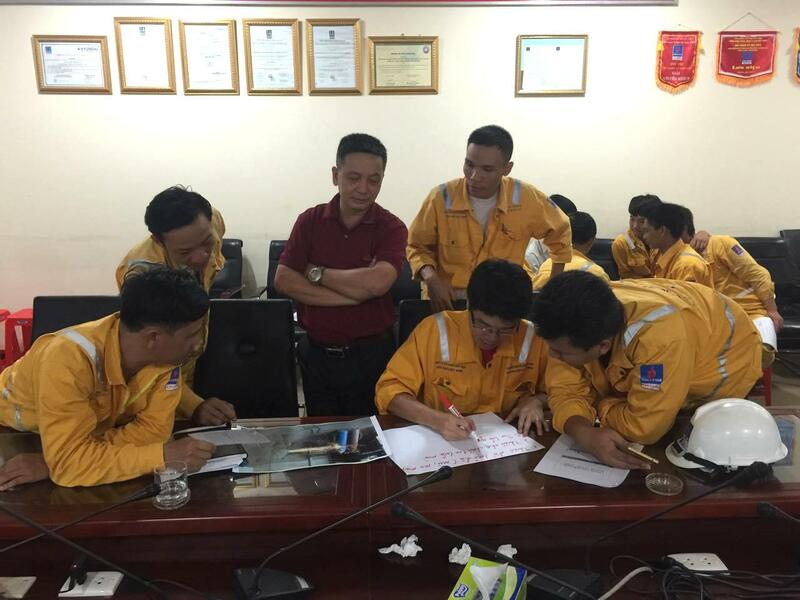 On 17-18 May 2016, PVCOATING and Nam Con Son Pipeline (NCSP) held training workshop “Safety Training Observation Program (STOP) and Regulation of Issuing Work Permit” for 50 employees at Pipe coating plant. In the workshop, employees were trained in STOP, work permit application and NCSP work control system to improve safety in operation and maintenance. STOP is a behavior-based safety program developed to prevent incidents and injuries by increasing safety awareness. They use a combination of methods to give people the information, skills and willingness to work more safely, to maximize their learning and to apply what they learn to the real world. The workshop has improved and maintained safety awareness of PVCOATING employees including operational and administrative staff.